Before I begin I should mention that I intend to stop posting teaser trailers (unaccompanied by a full trailer) because the former tends to give so little in the way of information that’s it’s almost pointless. This way at you get the teaser AND the full trailer at the same time, which as far as I am concerned makes more sense and gives the reader more bang for the buck. So on to the review. 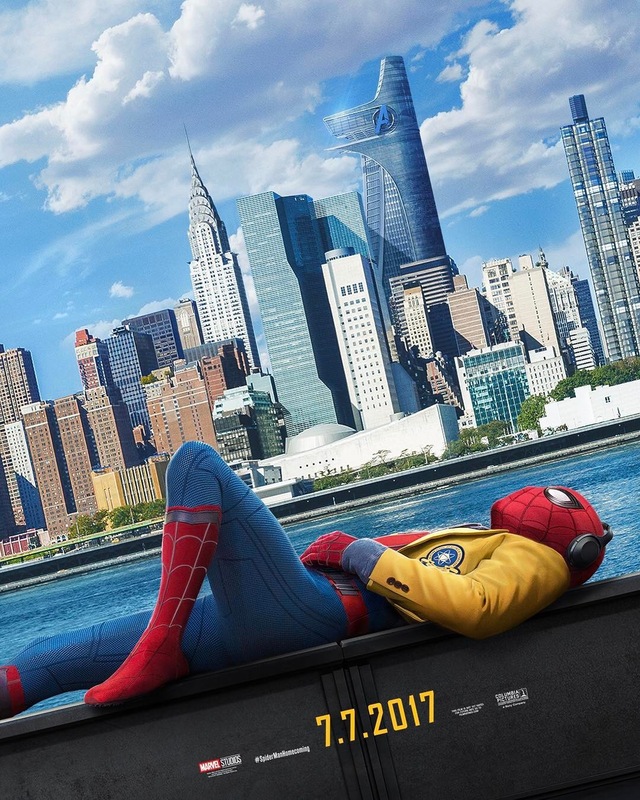 The first thing I should mention is that I hate the blazer Spidey wears on the Spider-Man: Homecoming poster. It mildly irritates me and feels too Hardy Potter-ish (in terms of tone). In any case, the second trailer for dropped yesterday, and it did what I thought was unlikely, which was to re-ignite my interest in the third reboot of the property. With Spider-Man: Homecoming Marvel Studios has managed to do what none of the other movies had done prior, which is to take Peter Parker back to high school, though the casting of an actor that makes that a visually viable move (and that’s not a knock against either Toby Maguire or Andrew Gairfield more than an acknowledgement that both actors were too old–and what’s worse, looked it–to play high school students). And while Tom Holland–despite being in his mid-twenties–looks six of eight years younger, making it a perfect fit for him. Then there’s dollops of the sense of wonder that often accompanies a young person as they discover the world around them in new and fascinating ways. And I am reasonably sure Spider-Man: Homecoming will be a bright spot for a studio–Sony Pictures–that could use a few. Posted in action, actors, Marvel, Marvel Comics, Marvel Studios, Movies, Sony, studios, superheroes, Trailer Park, upcoming.Tagged Andrew Garfield, Harry Potter, Peter Parker, Toby Maguire, Tom Holland.